The Jerky is sometimes drier and saltier or thicker than the Fresh Jerky! But is still good!!! 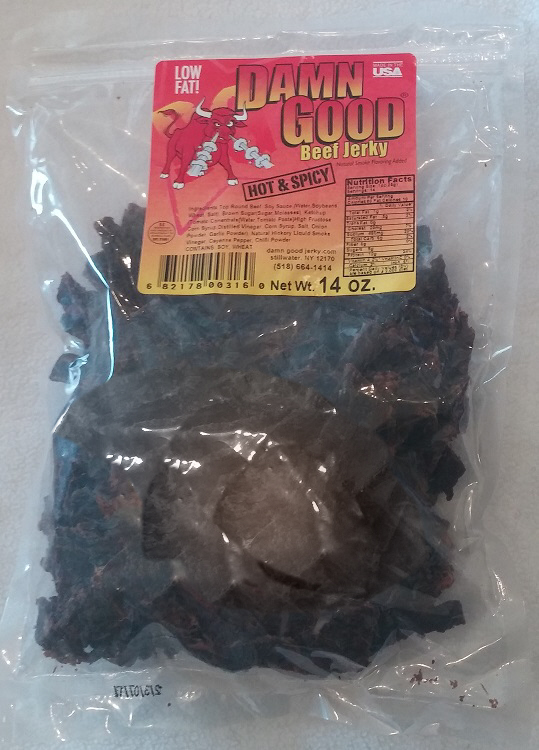 For jerky that is "not quite Damn Good!!! But still Good!!!" I was extremely pleased. great flavor very decently moist and just enough heat to make your nose run. this is the best jerky i have ever found others don't even come close!!!!. It tastes like normal kind, but it seemed less consistent. Some pieces were spicy while some are not. The texture is definitely tougher than the normal stuff, but not as bad at the other national brands. The less consistence and loss of texture are the only problems, I think it's acceptable as it is cheaper. Good deal for me.